Mr. Mermell Is An Awesome Lawyer! We appreciate the effort and the time it takes each one of you to send us your caring and humbling words. We love to share these deeply gratifying testimonials with great pleasure and pride. It is clients like you who inspire us to continue applying our very best expertise and performance on behalf of injured workers worldwide. I have never hired a lawyer before. 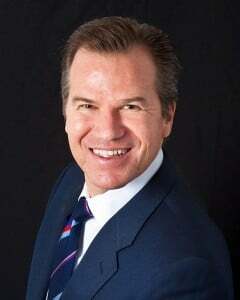 I can tell you that my experience with Mr. Mermell and his firm Gillis Mermell and Pacheco was first class. Very professional, very detailed … and great result. My case was a Defense Base Act case for injuries while working in Kabul, Afghanistan. 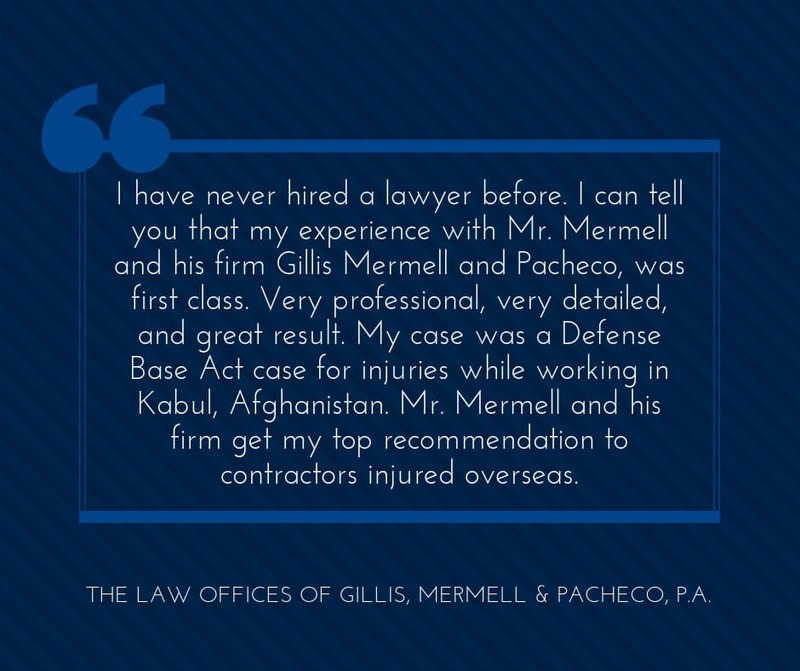 Mr. Mermell and his firm get my top recommendation to contractors injured overseas.